Mini Mug less than 1/2" high. 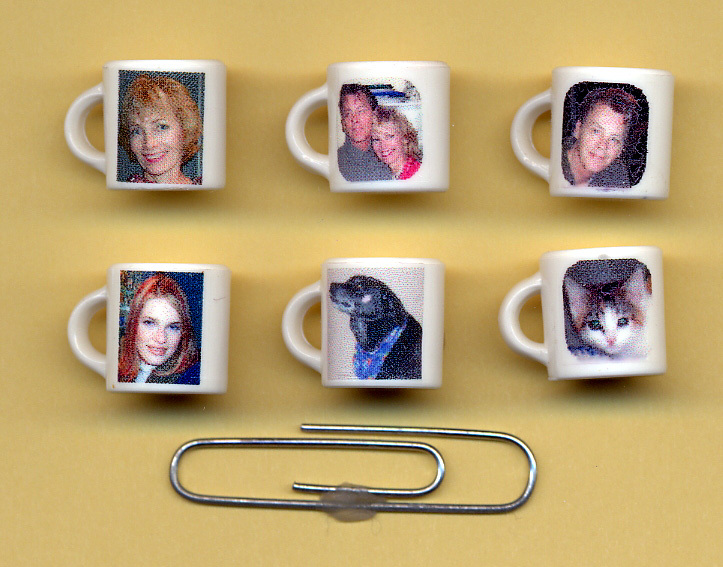 Send me your favorite photo by separate e-mail michelle@michellesminiatures.com or snail mail and I will make you a custom mug. During check out you can tell me how you are sending the picture and other important information in a special place called Special Instruction for this order.